In light of previous BES research which demonstrated how Labour relied on the Remain vote at the 2017 general election, it is not surprising that many regarded Labour’s rethinking on transitional arrangements for leaving the EU as electorally opportunistic. But how much difference might we expect a shift in Labour’s position on Europe make to their electoral appeal? The BES panel can offer some insight into this. At the post-election wave of the panel (and in earlier waves) respondents were asked the following question: “Some people feel that Britain should do all it can to unite fully with the European Union. Other people feel that Britain should do all it can to protect its independence from the European Union. Where would you place yourself on this scale?” The scale runs from zero to ten. This is followed by “And where would you place the political parties on this scale?” This provides us with a measure of respondents’ perceptions of where Labour stands on Europe. Overall there mean position in the post-election wave was 3.8 compared to a mean self-position of 5.8, with the Conservatives at 6.7 and Liberal Democrats at 2.4. So whilst the EU integration scale may not perfectly capture the nuances of each party’s approach to Brexit, it does suggest that Labour is already perceived to be closer to the pro-EU end of the scale than the average voter. However, they were a lot closer to their own voters (mean self-position of 4.2) who also saw the party as less pro-EU than the electorate as a whole (the mean Labour position among Labour voters was 4.3). These figures suggest that from an electoral perspective it would be difficult to make a strong case for moving in either a more or less pro-EU position. To test this more rigorously we fit a model of Labour voting in wave 13 and then manipulate the average level of respondents’ perceptions of Labour’s position on the EU scale. The objective is to see what effect a move to a more pro-EU position might have on Labour support – other things being equal, including voters’ own attitudes towards the EU. The key independent variable – Labour’s perceived EU position – is interacted with whether or not the respondent voted to leave or remain in the EU referendum. This allows the relationship to have an opposite effect for leavers and remainers (which is what we would expect). Based on this model Figure 1 shows how the predicted probability of voting Labour increased for remainers as the perception of Labour’s EU position moves towards the pro-EU end of the scale. The reverse happened for those who voted leave in the referendum. Figure one suggests that any shift in either direction would cancel itself out as Labour would lose either remainers or leavers depending which way it shifted. The net effect is illustrated in Figure 2 which shows the Labours overall predicted voter by their perceived EU position. The figure implies a change of only about one percentage point if everybody saw Labour at either extreme on the scale (once voter’s left-right values, whether they identify with Labour and how much they like Jeremy Corbyn has been taken into account). In other words a shift in a pro-Europe direction would attract some more remainers but repel as many leavers. However it is worth noting that if we remove Corbyn like scores from the model (i.e we do not assume them to be constant) there is a more substantial net loss of support if Labour moves in a pro-Eu direction (panel b). This suggests a slightly more negative effect of a pro-EU move. Essentially, liking Corbyn is softening the effect of a pro-EU move amongst the more Euro-sceptic/pro-Corbyn Labour supporters. To get a better picture of the overall effect we should not simply read off from the graph and assume everyone perceives Labour in the same way. Instead we can mimic the potential effect of a policy shift by adding or subtracting a set amount from the Labour EU position. To mimic a shift akin to the one described by Keir Starmer, we subtract 2 points from each respondents’ score (unless they already placed Labour at point 2 or below in which case the score was set to zero). This would put Labour in an average position close to the Liberal Democrats. Using the same model as before we can estimate Labour’s counter-factual vote share (see table 1). To simulate an anti EU shift we simply add 2 points. Table one suggests that a movement in either direction on the EU scale has a negligible net effect on the predicted Labour vote. To put this in perspective, the equivalent impact of a pro-European shift in perceptions of the Conservative position would also be small , but a little more damaging to the Tories, with an equivalent model suggesting a loss of around 1.2 percentage points. Not surprisingly, beneath the surface we see that a pro-EU move leads to a small increase in the Labour remain-vote and a similar decline in the Labour leave-vote as we would expect. The reverse happens for an anti-EU shift, but overall, the gains on the swings are lost on the roundabouts. Despite the carefully selected controls, one problem might be that the model is skewed by the preferences of respondents who would never consider voting Labour. To check this we re-ran the same model on potential Labour voters – defined as respondents who scored 5 or higher on the question “How likely is it that you would ever vote for each of the following parties?” for Labour. Table 5 reveals a very similar pattern for potential Labour voters, with Labour making a small hypothetical gain by a pro-EU shift and a small loss with an anti EU shift. The overall level of support is higher (as these are potential Labour voters) but the impact of a change in perceived policy position is still negligible. Labour’s position on Brexit is of enormous importance, not least because of the party’s potential to upset the passage of the ‘European Union (Withdrawal) Bill’. However, despite the crucial role of Brexit in structuring party support in 2017, a shift in Labour’s position on Europe is unlikely to have huge immediate electoral consequences. That is not to say that there could not be consequences: a shift in the party’s position on Europe could have all sorts of unexpected and indirect effects that are not considered in our model. For example, as Britain’s negotiations with Europe become more difficult, the relationship between Labour’s EU position and vote choice might change – in other words the coefficient in the model might change as well as the mean level. Equally, the stabilising effect of some of the control variables might not hold – for example, Labour identifiers became less likely to vote Labour as a result of their position on Europe, or people changed their assessment of Jeremy Corby as a result of a policy shift. However, what the model does tell us quite clearly is that, other things being equal, Labour’s vote share should not be especially sensitive to fairly moderate changes to perceptions of its’ position on Europe. In other words, Labour’s electoral arithmetic does not clearly point in one direction or another. 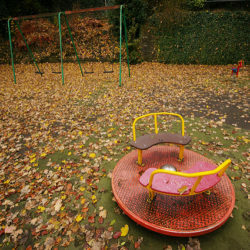 What it loses on the roundabouts it should gain on the swings. It could be argued that Corbyn like scores might change as a result of Labour’s EU position. However, it is widely known that Corbyn takes a more Euro-sceptic position Europe than most of his party and his supporters are unlikely to hold him personally accountable for a pro-European shift in policy. Previous research also suggests that Corbyn’s personal popularity gained support for Labour. We therefore include as a control variable as it substantially improves model fit. However we also ran the equivalent analysis without the Corbyn control. As suggested by Figure 1 these shifts would be slightly larger if we do not hold Corbyn’s ratings constant: in the model without Corbyn Labour suffer a net loss of approximately one percentage point as a result of a pro-European shift.